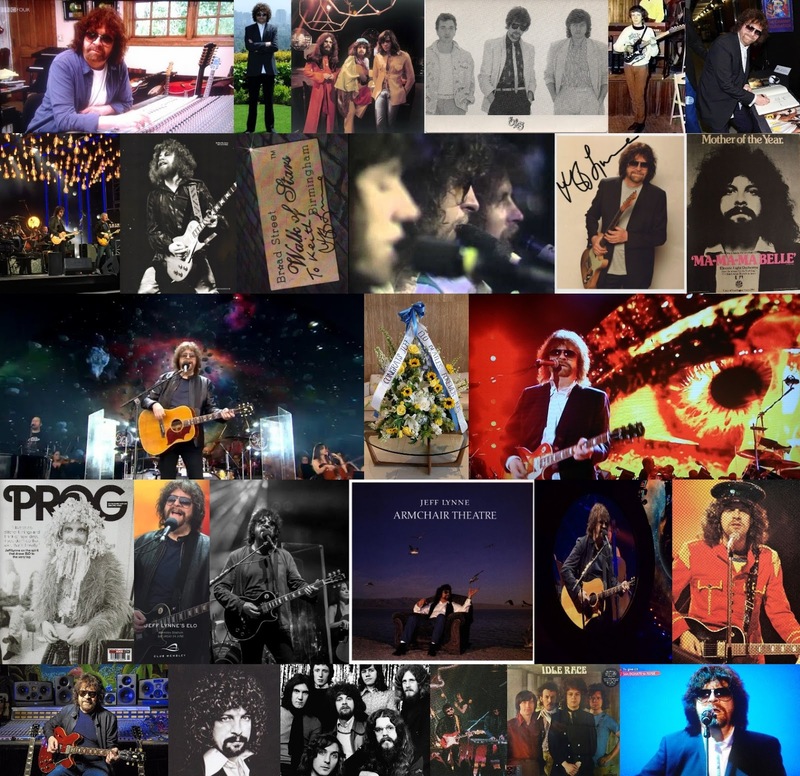 elobeatlesforever: Jeff Lynne: Seventy Light Years Today! By the "Time" that Yours Truly KJS had bought my first record - ELO's "Turn To Stone" at just ten years of age in November 1977, ELO maestro Jeff Lynne was approaching his 30th birthday and, it could be argued, his creative and commercial peak with "Out Of The Blue" about to rule the album charts and a lucrative (if not exhausting) world tour around the corner. And ever since then, whether I've gone backwards to his tenure with The Rockin' Hellcats, The Andicaps, The Chads, Mike Sheridan & The Nightriders, The Idle Race and The Move or his career thereafter overseeing the Electric Light Orchestra (ELO), The Traveling Wilburys, The Beatles, George Harrison, Paul McCartney, Ringo Starr, Tom Petty (& The Heartbreakers), Roy Orbison, Dave Edmunds, Brian Wilson, Joe Walsh, Del Shannon, Regina Spektor, Bryan Adams and latterly Jeff Lynne's ELO (and not a few others), the production, music and lyrics of Jeff Lynne have always been a huge part of my life as well as, of course, the primary reason that elobeatlesforever (elobf) exists and that you can read this very article! Today is Saturday 30th December so without further ado, both Yours Truly KJS and elobeatlesforever (elobf) would like to wish Jeff Lynne a very Happy if not Bostin' 70th Birthday! elobeatlesforever (elobf) also recommends "Wembley Or Bust" and "All Over The World" to those enlightened folks who enjoy the music of ELO, Jeff Lynne, Roy Wood, The Move, The Idle Race, 'Brum Beat', The Beatles, The Traveling Wilburys and related artistes.